The GoodNewsforPets team has decided to go north for the winter, checking out beautiful Park City, Utah as well as investigating all things pets during the Sundance Film Festival. A skier’s paradise, it is the land of powder puff snow, slopes, movie debuts, and fur babies! You read that right. The city is known for being incredibly pet friendly, from having menus for pup at restaurants to having plenty of pet friendly lodgings and rentals. That said, during January’s National Train Your Dog Month, it is important to remember to keep training your dog on your travels, especially during the winter. Take some breaks for you and your dog between lounging with popcorn watching all of those Sundance films. In the spirit of the New Year and getting training off to the right start, we decided to go to the pros for advice. 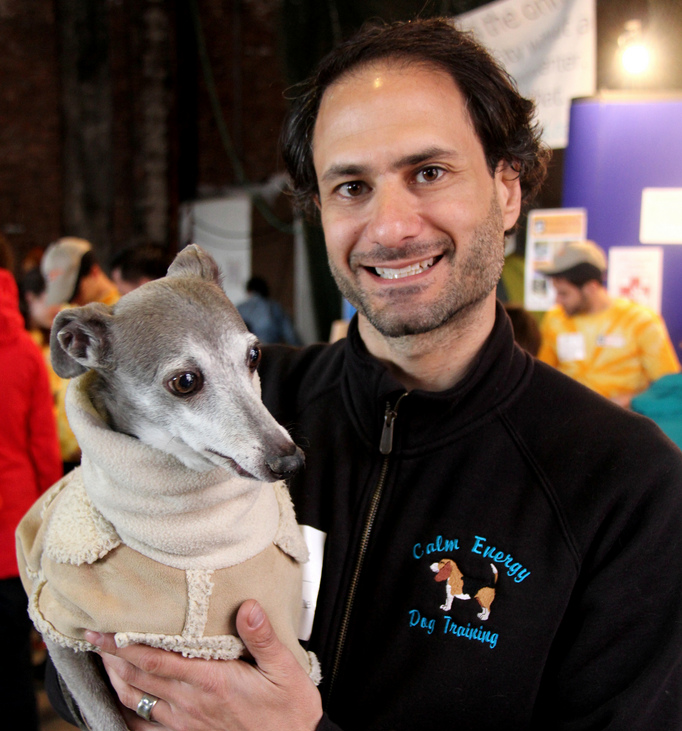 We interviewed Robin Bennett , Chair of the Association of Professional Dog Trainers (APDT) and spoke to two dog training pros: Anthony Newman, President of Calm Energy Dog Training and Dog Behavior Expert and Owner of NY Clever K9, Christina Shusterich. Here are their top tips for training this winter! Tell us about the importance and origin of National Train Your Dog Month. Robin: In 2010, the Association of Professional Dog Trainers began the National Train Your Dog Month campaign. The APDT thought it was long overdue to dedicate a month to bringing awareness to the importance of socialization and training, and most of all, to inform the public that training your dog can be easy and fun! We selected January as the perfect month because so many dogs and puppies are adopted or purchased from breeders and brought home during the winter holidays. Our desire is to help these new pet parents start off the New Year right with their newest family member. How did you get into dog training and starting your own business? Christina: It started with my first dog, when I was 12. Our favorite trick was for him to sneeze on command, it would always get his tail wagging. 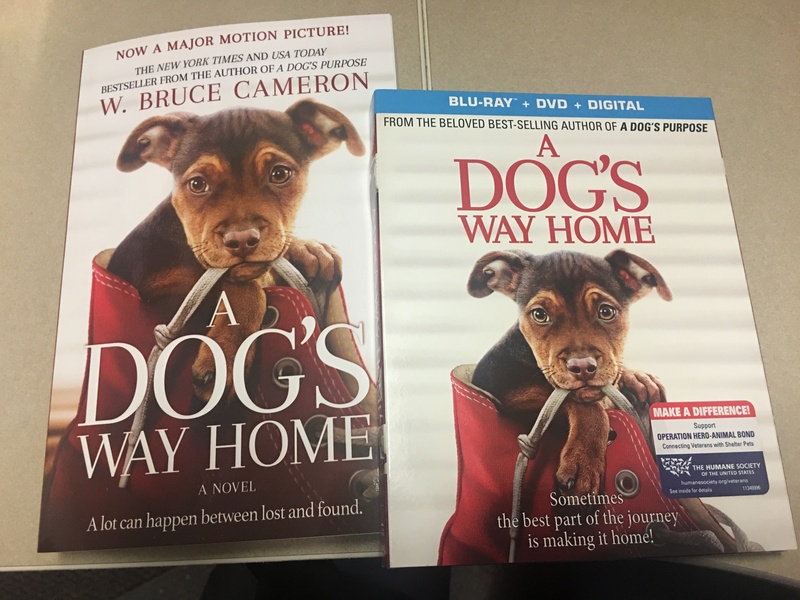 After he died, I volunteered at a shelter to walk the dogs, this shelter also had a certification program to be a Canine Behavior Counselor and dog trainer. The program consisted of intense study of behavior modification in treating behavior problems in dogs, dog psychology and training, with over 230 hours working directly with the shelter dogs. Having a BA in Psychology definitely helped, as I was very familiar with behavior modification. Interestingly, this was back in 2002 before all the TV shows, so almost no one had even heard of dog training or especially solving behavior problems in dogs as a career! Anthony: I’d just made a big life change leaving a university job teaching philosophy. I knew I loved being around dogs, so I started working in a dog daycare. I learned invaluable lessons every day how to manage big packs and all mixes of breeds and temperaments. I then interned for a trainer and it progressed from there. Are there any dog training tips that you would recommend for winter training specifically, versus the rest of the year? Robin: The main concern for some dogs in winter is the cold (that is also sometimes a concern for people who may not want to go out in the cold with their dogs). However, there are lots of activities you can do with your dogs inside. You don’t need a lot of room to train and can teach quite a number of tricks and other fun behaviors indoors. Anthony: Too many owners reduce walks and off leash outings when the weather gets cold; bad behaviors ensue. In colder weather, dogs need even more exercise than in the summer. Aside from treats, what else can you use to entice your dog to listen? Robin: Anytime a dog likes can be used to help reward and encourage a dog while training. This includes tennis balls, tug toys, squeaky toys, and treats. Often by playing with your dog you can find what he loves. I’ve seen dogs that can be rewarded by blowing bubbles, playing chase, and getting belly rubs. It just depends on what the dog enjoys. Christina: Communicating by being able to effectively read and use body language and praise can be more effective than treats and must be used when dogs are too reactive to eat treats, both are two key elements of my Total Harmony Dog Transformation® System EBook. Anthony: Food is hugely overused in dog training. Treats have their place (e.g. working recall, “leave it”, encouraging scared dogs), but they can create a hyper, obsessive mindset instead of calmness, as well as guarding and other problems. Ultimately over-focus on treats keeps owners from seeing all the other more fulfilling rewards surrounding us all the time. E.g. belly rubs, praise, companionship, tug, fetch, walks, off leash socializing . . .
Are there any special techniques you use to train dogs with anxiety? Robin: We would recommend science-based, dog friendly methods for any training. Dogs that might be anxious can benefit from playing fun, low stress training games in an environment where they are comfortable. Often training can help boost their confidence, which can help reduce anxiety as well. Christina: My Total Harmony Dog Transformation® System, on calming command I use is the “see me” command. Anthony: Curing anxiety is one of Calm Energy’s specializations. I compare my method to a treatment of OCD called “ERPT” (Exposure and Response Prevention Therapy). Seek out triggers; disallow “fight” as well as “flight”; turn the experience happy. The trick is being able to differentiate traumatic “flooding” from therapeutic, beneficial desensitization and counterconditioning. One concrete pointer for anxious dogs: forget about “sit”; instead practice “lie down”, belly showing. It’s harder than it looks! What are the challenges/tips for training dogs of different ages and sizes? Robin: Training should be fun and easy for both the dog and the human training them. I’m not sure there are particular challenges other than the fact that larger dogs are stronger. Sometimes using a body harness can help to give you more control over a large dog that might pull. Christina: Honestly, I personally do not find any difference in working with dogs of different ages -my oldest client dog was 15 and blind. I also do not find any difference in dogs of different sizes apart from strength – larger dogs have much more pulling power on leash for example – and very importantly smaller dogs frequently are inadvertently mishandled by owners and not treated as animals as they don’t look like dogs but have baby like features – large eyes, short muzzles, small bodies. Dogs, like people, have certain ways they enjoy being touched and handled. Also like people, there are certain ways of touching and handling that dogs instinctively find uncomfortable, unpleasant and threatening. This is often ignored in small dogs as they tend to be physically forced by owners – picking up, pushing off furniture, forced affection, physically manipulating like being forced onto their sides or back – which does not happen with larger dogs as it isn’t possible. Further when small dogs warn people to stop by dog communication of growling, showing teeth, snapping, etc. it is often ignored whereas in a large dog it does stop owners, for example imagine yourself continuing to forcefully push your Lab off the couch if he shows his teeth or growls. Respecting every dog’s innate need to be handled appropriately as an animal is crucial to developing a harmonious and enriching relationship between clients and their dogs, rather than creating one in which dogs attempt to avoid owners and which can create fear, aggression or both in self-defense. As part of my System, every client is taught proper dog handling techniques and Dog Speak- how to effectively read dog body language to understand what their dogs are actually communicating to them. Are there any products you recommend for the winter for either training your dog or walking your pet (did we mention January is also Walk Your Pet Month)? Robin: If there is ice and snow on the ground, you should be mindful of the dog’s paws. Snow boots can be beneficial to protect the paw pads. Anthony: For the winter get your dog a warm coat if he needs it, because dogs need to get out and have fun and burn energy and socialize just as much in cold weather (if not more). Everyone can take something new away from all this fabulous advice, so as you are training your pooch between Utah theatre hopping (or Netflix binges from home), pay a proper homage to National Train Your Dog Month and try implementing some of these great tips for your pup this winter.